Janine Pauke makes her return from obscurity by blessing us with a new Octane lighting tutorial. 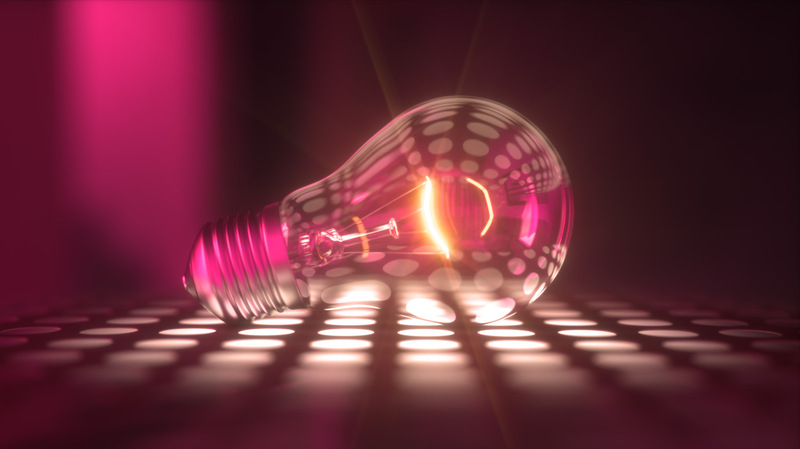 One of the original 3D Fluff founding members, Janine spends an hour walking you through how to set up materials, lights and cameras to produce this Octane project of an incandescent light bulb. This one hour video covers plenty of ground. Ensuring correct scene scales to ensure depth of field works predictably, all the camera settings you will typically need to use are covered. Moving on, Janine shows you how to create a base level of lighting and surface reflections via HDR images (and where to get some good ones for free). Materials will also play a vital role in creating a realistic image. Janine shows you which BSDF types you should be employing for different surfaces, including emissive materials for the bulb filament. Fleshing out the full scene with floors, backdrops and skies then allows you to move onto the rendering section. Here the important samples, render types and post effects are dialled in to create the almost final image before some final polishing in photoshop. Compatible with Octane 3 and 4.